The merger of celebrated Brisbane’s architecture firm Donovan Hill with the respected national firm, BVN Architecture in late 2012 caught the profession not unaware but weary. That a firm as critically acclaimed and treasured by the public as Donovan Hill could no longer stand on its own is a miserable affirmation of the current climate in which the profession finds itself. 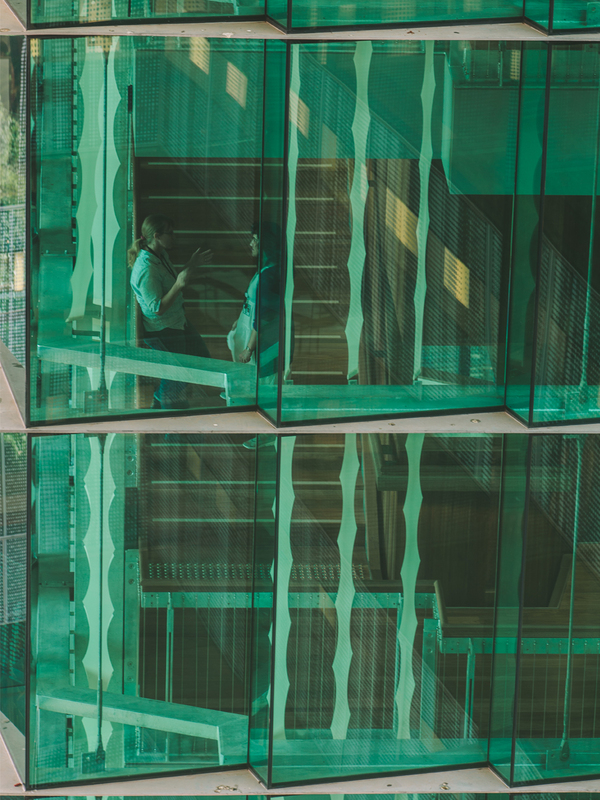 Since Brian Donovan and Timothy Hill founded it in 1992, no matter how reluctantly, Donovan Hill has grown to define Brisbane’s architecture though has had little influence on the entire state per se. While not rejecting the pragmatism of the Queensland tradition, the architecture of Donovan Hill is clearly urban and does not romanticise the vernacular. 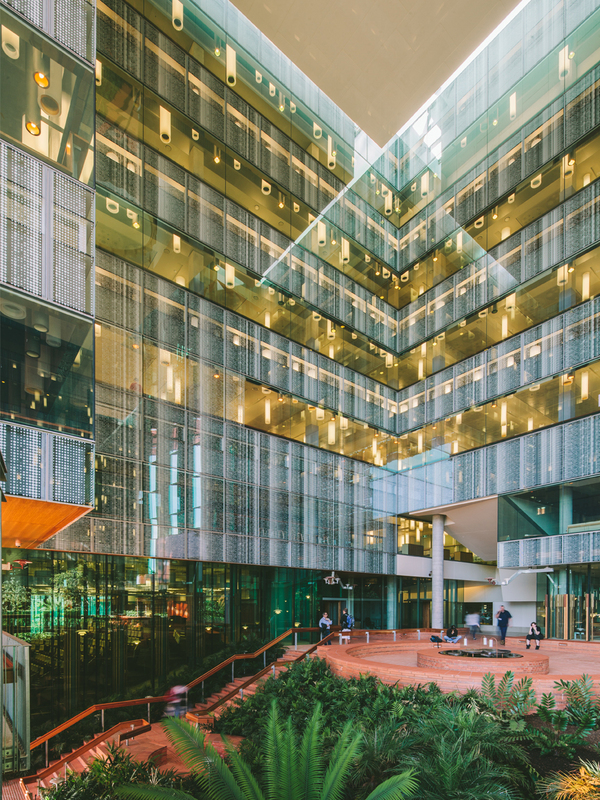 Both original partners are influential figures in Brisbane’s architectural community, in education, as Adjunct Professors at the University of Queensland (among other qualifications) and through their public advocacy. But as architects, it is the buildings that Donovan Hill designed that remain as their most tangible legacy and to this end the practice is neatly bookended by two Brisbane projects: the C-House in Coorparoo, built in 1998 and the Translational Research Institute in Woolloongabba, opened in late 2012 and designed in collaboration with Wilson Architects. When the partnership was formed to design the C-House, Timothy Hill was working for the Brisbane-based practice Lambert Smith and Brian Donovan was working by himself, though he had recently worked for Japanese architect Atsushi Kitagawara. The pair had separately designed several houses after graduating from the University of Queensland in the 1980s and both had worked for the design and craft focused local practice, Andreson O’Gorman. Initially, they worked from a house in the riverside Brisbane suburb of Kangaroo Point on mainly residential projects. Before merging with BVN, Donovan Hill had grown to over forty staff with two more directors and practised from the former sewing room of iconic Brisbane fashion brand Easton Pearson in Spring Hill. The C-House was not Donovan Hill’s first built project but it’s brief became a touchstone for future designs and, in many ways, it announced their presence in Brisbane. 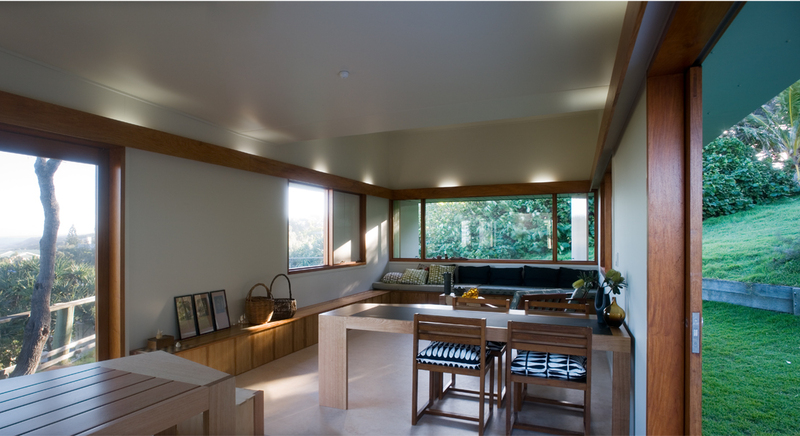 The house is internationally recognised as an accomplished design, a triumph of careful detailing and integrated craft techniques. If the C-House is their introduction, the TRI Building is the closing chapter as its opening coincided with the merger. It is the practice’s swan song and represents a clear example of both how far the practice has come in terms of the complexity of project but also the integrity of its underlying design principles, which can be traced back to the C-House and all the projects that sit between. Other notable projects in Brisbane by the practice include the Neville Bonner Building in the Brisbane CBD (completed 1999, designed in conjunction with Davenport Campbell, now Architectus), the D-House in New Farm (2001) and the State Library of Queensland (2006), designed in collaboration with Peddle Thorp. Redefining the relationship between the civic and public was a wider aim of Donovan Hill throughout two decades of practice and their body of work achieves this through a clear set of design strategies. The firm believed that within the modern city, the individual unit, regardless of scale should constitute a miniature of an ideal urban form. These strategies are articulated in Donovan Hill’s iconic houses but have also allowed the firm to operate with a consistent design ethos across a broad range of scales and typologies. The practice became the most nationally awarded firm in Australia and while best known for their residential work, they produced commercial, high-rise and institutional projects as well as master-planning and furniture design, as explored in the firm’s collaborative Small Australian Projects venture. The firm perfected the use of a central space, usually an ‘outdoor room’ within a courtyard typology, to lend their buildings a discernable logic. This outdoor room is likened to the civic square in a town and as a metaphoric device became a key component of future work. Their buildings commonly feature a finely calibrated entry sequence, leading the occupant through a series of planned views and experiences giving a sense of occasion to regular patterns of habitation. Brisbane’s public space and therefore public, was seen to be suffering neglect due the primacy of the domestic unit and its status as a stronghold against the civic realm. Often in their residential work the usually defensive barrier to the street is perforated and larger projects feature a gesture to the wider public realm beyond sensitivity to context, that could be the provision of usable space for the public or the incorporation of artwork. Conversely, their urban spaces are imbued with details that echo the domestic, as if to ease a frigid public into occupying the civic realm. 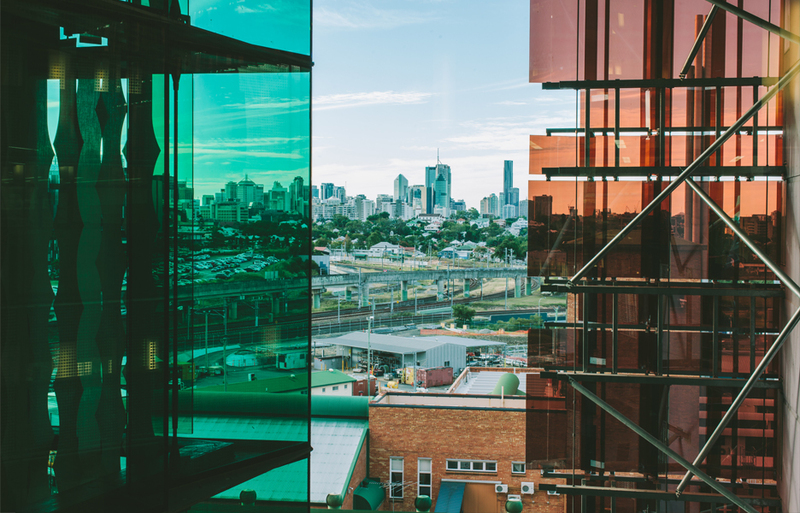 The merger of Donovan Hill and BVN came during a period of similar mergers of medium-sized firms in Brisbane’s architectural profession, ongoing symptoms of the global financial crisis. BVN’s trajectory was not dissimilar to Donovan Hill’s (though by then, it was one of the largest firms in the country), it too started small in Brisbane but over eighty years ago and after various monikers, eventually settled into the partnership Bligh Voller Nield. The practice expanded to Sydney and Melbourne in the 1990s and by 2012 they had almost four hundred staff across four offices. While Timothy Hill is not with the new firm and Paul Jones, (also a former director) is now with international firm OMA, many key staff members from Donovan Hill continue to work at the new firm: BVN Donovan Hill, these include Brian Donovan and long-term staff such as Damien Eckersley and Michael Hogg. Further built work will clarify the new firm’s design approach but their rhetoric shares a strong focus on the client above all else and in the ability of domestic detail to engage the end-user across typologies. The merger was met with more resignation than outrage, partly because such mergers are not uncommon in the profession and are often fruitful cross-pollinations of talent. But also because sadly, despite the public’s embrace and industry accolades, the design ambition of Donovan Hill has allowed their merger to be reduced to a parable, a lesson in the consequence of flying too close to the sun. But Donovan Hill weren’t colouring outside the lines of industry standards, from the beginning the firm upheld principles of respect for and collaboration with all stakeholders in the design process. The C-House was a formative project in this regard, the client was also its builder and the result led the firm to question the assumption that conflict is inevitable in the delivery of projects. They continued to operate on these principles and that inclusive process meant their enduring design ideals are robust and multi-faceted. Donovan Hill balanced a series of contradictions, they were articulate theoretically but their designs required immersion within the messiness of modern construction. They were the flagship practice in a stable of firms marketed as embodying a modernised Queensland tradition but they consciously avoided being set into this lineage. That they practised in Brisbane primarily, makes them a Queensland practice but their work is not neatly ‘of Queensland’; belonging to a subtext whose protagonists are more internationally focused, the post-war architects such as Job and Froud and the esteemed and sadly, recently deceased architect Robin Gibson – rather than the colonial era architecture of the venerated Robin Dods or more contemporary ‘regionalists’ such as Rex Addison. 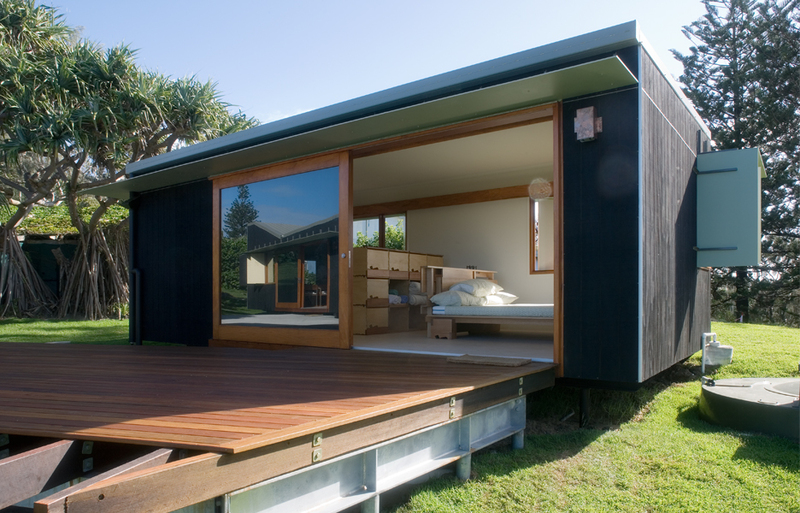 Traditionally Queensland’s architecture is defined by its treatment of timber and the firm’s work is an exemplar of contemporary timber craftsmanship but they would prefer to be remembered for the collaborative approach that facilitated this attention to craft. Donovan Hill more often exploited the qualities of concrete, grafting built form to the landscape, rather than floating timbers above it. Donovan Hill decisively shifted the professional and the public conversation forward from the reheated dichotomy of modernism and the Queensland vernacular tradition. Their architecture does not reject its context but asserts constructive criticism, all the more potent by the glimpses of the sublime it provides in its habitation. Many former staff members of Donovan Hill have formed their own practices in Brisbane; these include Angus Munro (Marc & Co), Adrian Spence (Richards and Spence), Kim Baber (Baber Studio) and Jodie Cummins (Redcoop). These firms now form part of a generation producing quality work that is confidently of its place, both in Queensland and within the wider region. Timothy + Brian and their collaborators were, are, both great to work with, sharing enthusiasm, understanding and insight across the profession. 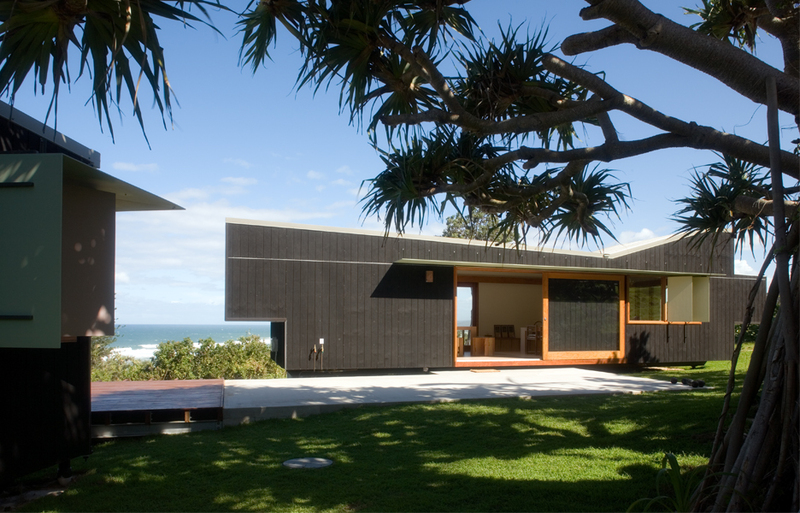 Their projects stand as a breath of fresh subtropical air in the SEQ built environment.